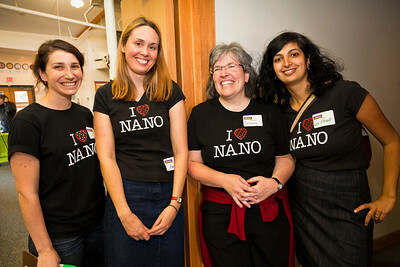 We are always excited to see photos of your NanoDays 2013 events - in particular we love to get photos of your NanoDays team. 4. Email a pdf of the releases to Eli Bossin at ebossin@mos.org or mail hard copies to Eli Bossin, Museum of Science, Science Park, Boston, MA 02114-1099. Once we get the releases, we’ll tag the photos "NanoDays2013." 5. Questions? Email Eli Bossin at ebossin@mos.org.